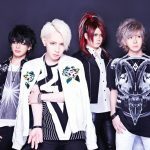 Rayflower : New visual and announcement of Mini Album「ENDLESS JOURNEY」release !! From Oct 4, Rayflower will be going on a 21- city nationwide tour which includes first time places such as Ehime, Totori, Nara, and Fukushima. 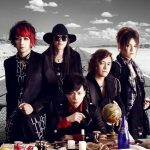 On embarking on their tour, Rayflower announced their release of Mini Album 「ENDLESS JOURNEY」and also revealed their new artist visual. The Mini Album will consist of six songs, including two movie tie-up songs announce in 2018, already in distribution. More details on the Mini Album will be announced later. With the title of the Mini Album same as the tour title, the songs are to be revealed during the tour. In taking a step toward their “new journey”, anticipation is high for their upcoming tour! Including two movie tie-up songs! ◆「Rasen no Piece」Included in the soundtrack of the third story of Cordgious Triology『Cordgious Hangyaku no Rouge Ⅲ皇道（Oudou）』! ◆「Fellow Soldier」Theme song for V cinema 『Kamen Rider EX-AID Triology Another Ending』　PartI『Kamen Rider Brave & Snipe』! Details announced later on Rayflower’s official website! And starting from October 2018, Rayflower will go on another 21-city tour including first time places. The band is yet to slow down,and is set to make great stride in the future to come. 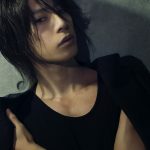 After his activities in ex-iT and,Lapis Lazuli, he formed BULL ZEICHEN88 in 2006、and is presently active as support bassist for T.M.Revolution, and TETSUYA. With his highly appraised bass technique, he is known to be one of the popular artisan bassists in bassist magazines. 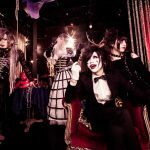 【Vkei News】Rayflower：Details of Mini Album 「ENDLESS JOURNEY」and trailer for their new songs revealed!